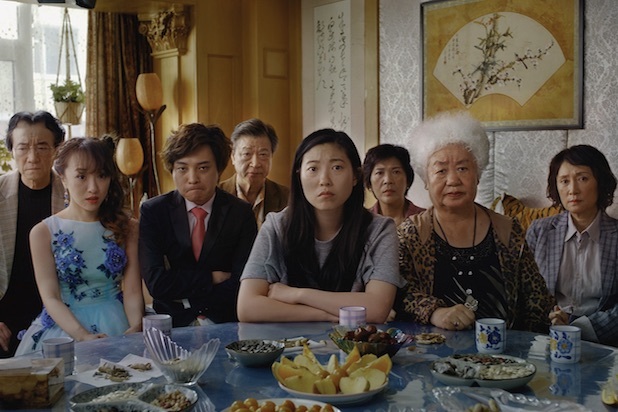 In January, the Sundance Film Festival saw the premiere of Lulu Wang’s The Farewell. The drama casts comedian Awkwafina as a Chinese American who travels across the ocean to care for her ailing grandmother. Drawing praise upon its screening, the film currently stands at 100% on Rotten Tomatoes. The Farewell sparked a bidding war won by A24. They purchased it for $7 million and it’s scheduled for domestic release on July 12. There’s already a feeling that it could be a significant summer sleeper. Last summer, Awkwafina broke out on the silver screen in a major way with supporting roles in Ocean’s 8 and Crazy Rich Asians. Her work here has garnered raves and she could find herself in the mix for a Best Actress nod a little less than a year from now. Furthermore, Ms. Wang could be considered for her direction and especially for her Original Screenplay. The pic has a large ensemble cast and Tzi Ma is a name to keep an eye on for Supporting Actor. Mila Kunis and Kate McKinnon team up for the action comedy The Spy Who Dumped Me, out next weekend. As the title suggests, Kunis finds out her ex is a CIA agent and she (along with bff McKinnon) become embroiled in international intrigue. Susanna Fogel directs with a supporting cast including Justin Theroux and Sam Heughan. Kunis has had plenty of successes at the box office over her career in both leading and supporting parts. Most recently, 2016’s Bad Moms was a sleeper hit ($113 million). However, sequel A Bad Moms Christmas couldn’t match it with a $16.7 million debut and $72 million overall tally. The trailers for Spy struggle to make it look like anything special. Its best hope is for a sizable female audience (the kind that made Ocean’s 8 a big success last month). I’ll project a low to mid teens is the likely scenario here. Jurassic World took in an astonishing $208 million three summers ago (which set the opening weekend record until Star Wars: The Force Awakens snatched it away six months later). Kingdom is not expected to match that performance. My estimate has decreased from an initial prediction of just over $155 million last week to just over $140 million. Incredibles 2 broke its own records this past weekend by smashing the all-time animated feature debut (more on that below). With an A+ Cinemascore grade, the sequel to the 2004 Pixar superhero tale has turned into quite the event film. How much it dips in weekend #2 is an intriguing question. Looking at past sequels from the studio, 2010’s Toy Story 3 and 2016’s Finding Dory (the previous animated record holder) both fell 46%. Last summer’s Cars 3, which was a rare Pixar disappointment, fell a steeper 55%. It’s a legit question as to how front loaded Incredibles 2 is and whether it had a must-see factor in weekend #1. That said, repeat business could be strong even with the considerable dino competition. I’ll project a 48% drop, similar to 2017’s Beauty and the Beast. As mentioned, Incredibles 2 was indeed incredible this weekend as it obliterated the all-time animated feature record. The well-reviewed sequel took in $182.6 million, smashing the numbers of Finding Dory by nearly $50 million. That figure is good for the 8th largest domestic debut in history and that ranks third for 2018 (behind Marvel behemoths Avengers: Infinity War and Black Panther). It, um, did a little better than my $138.1 million forecast… oops. Ocean’s 8 was second in its sophomore outing with $18.9 million, coming in below my $21.2 million estimate. The heist caper has made $78 million thus far. Newcomer comedy Tag was third with $14.9 million, faring slightly better than my $13.4 million projection. The Warner Bros pic performed right in line with expectations. Solo: A Star Wars Story placed fourth with $10 million (above my $8.4 million prediction) for $193 million total. Deadpool 2 rounded out the top five with $8.6 million (I said $8.2 million) for $294 million overall. Superfly debuted in sixth with $6.8 million and $9 million since its Wednesday roll out, managing to outpace my respective calls of $5.3 million and $7.2 million. I’d look for the crime remake to fade quickly. Hereditary was seventh and it held up well for a horror release with $6.8 million (I said $6.3 million) to bring its two-week earnings to $27 million.